Welcome to our review of the Somali Cat breed. Let’s find out all about the wonderful world of the Somali Cat. 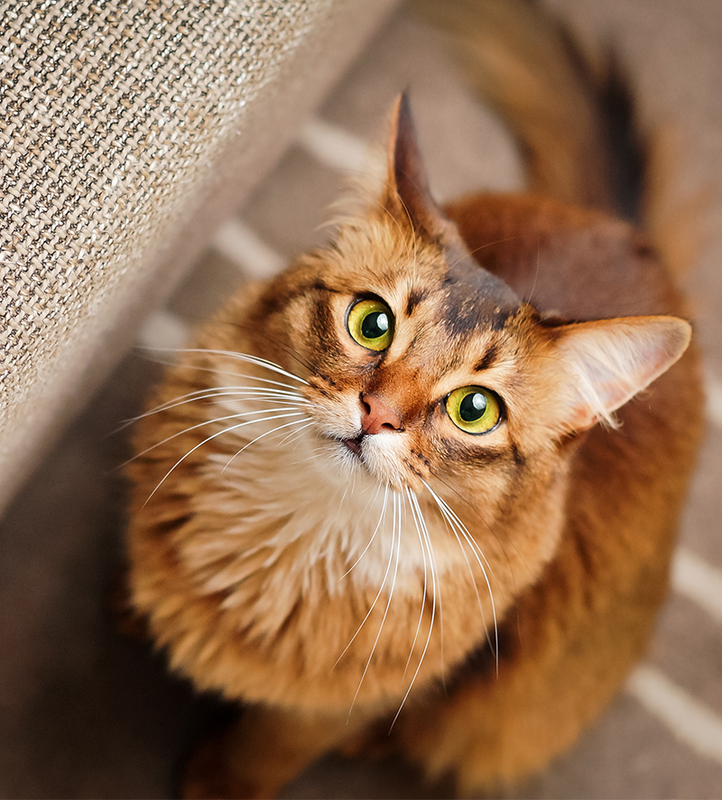 In this article, we look at how and where the Somali cat originated. Discover their personality traits and temperament. We’ll let you know all about the potential health issues associated with this breed. And importantly, how to avoid them when buying a Somali kitten. Let’s find out if the Somali cat is the best choice of pet for you! Where does the Somali Cat come from? There is a mystery surrounding the Somali cat origin, consisting of a lot of speculation and various myths. The Somali cat is a long-haired Abyssinian. They resemble a miniature lion, thanks to a delightful ruff of fur around their necks. Despite the name, the Somali Cat does not come from Somalia! But does give him a suitable exotic sound. It is highly likely the Somalia cat acquired the name due to the country’s geographical location. They were next-door-neighbors to Ethiopia, formerly Abyssinia. 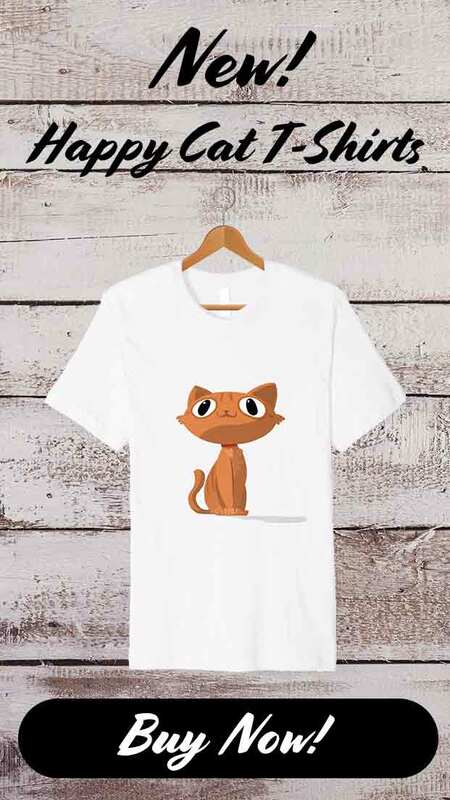 Many people question whether the breed was the result of a recessive gene found in pure bred Abyssinian cats, or came about through mixed breeding. These “mistakes” were usually neutered and often given away or sold as pets. Evelyn Mague, a US Abyssinian cat breeder, is credited with establishing the Somali cat breed. Probably from these Abyssinian beginnings. The American Somali Cat Club formed in 1972, and the breed was finally accepted by the Cat Fanciers Association (CFA) in 1979. Today’s Somali cat is both beautiful and exotic looking, moving with agility and grace. Athletically built with a long body and slender muscular legs, it can jump higher and run faster than most other domestic breeds of cat. The Somali cat’s features include a dazzling, colored coat, breeches at the top of the legs, a masked face with big almond-shaped eyes, along with a slightly turned-up mouth making it look like they have a permanent smile. And they have a few things in common with the fox in their personality too! If you want a cat that will snuggle up on your lap spending most of its time sleeping, then a Somali cat is not for you! The Somali cat personality is that of an active extrovert. They are on the move as soon as they wake up in the morning. One of their traits is to arch their back and tail, moving sideways like a monkey while carrying something in its mouth! The Somali cat loves to jump and play, requiring plenty of toys to keep him occupied such as balls and puzzle toys. He has an almost dog-like personality and loves nothing more than playing a game of “fetch” with his owner. The Somali cat reacts well to positive reinforcement and can be taught to walk on a leash. They can learn tricks by using a clicker, and even have the ability to be trained to complete an agility course. Curious, highly intelligent and mischievous, the Somali cat can open cupboards and doors and squeeze into the smallest of spaces. They love the water as well and have been known to operate faucets to play with a few drops! The Somali cat is loving and friendly who enjoys being around people and animals. But although they are affectionate, they do not normally like being cuddled. The Somali cat temperament is most suited to busy, multi pet households. They can become bored quickly and don’t like to be left alone. A Somali Cat needs an owner who will interact and play with him. If he were human, the Somali cat would probably be a hairdresser as he likes nothing better than grooming his owner’s hair, beard or moustache! The Somali cat possesses an even temperament and is easy to handle making him a suitable pet for families with children. As long as they are more into playing than snuggling! Because the Somali cat is very active, it tends to keep its weight under control. Males weigh between 5 to 6 kg whereas females are lighter, weighing between 3 to 4 kg. 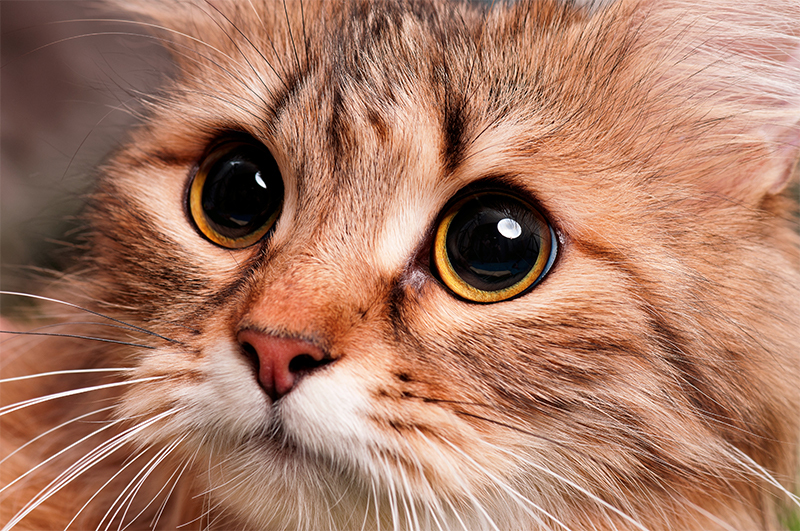 The Somali cat has large, expressive eyes ranging from a dark green to a rich copper color. The coat of a Somali cat takes up to two years to fully develop. The hair is ticked (or agouti), meaning there are between 4 to 20 bands of color on each strand. There are a variety of Somali cat colors. The four main standard ones are red, ruddy, blue and fawn. The red Somali cat, sometimes known as sorrel, is a cinnamon shade. Ticked with a chocolate-brown color and a darker shading along the spine. The ruddy Somali cat is creatively portrayed as burnt sienna and ticked with a dark brown or black color and has a dark shading along the spine as well. The blue Somali cat’s color has several shades of ticked slate blue. And finally, the fawn Somali cat reveals a soft rose beige ticked with a light chocolate color. The silver Somali cat is becoming increasingly popular with cat fanciers, and all four of the standard colors are possible in a silver version. A gene produces this silver coloring which obstructs the primary coat color, leaving the white ticking on a white undercoat. So, is the Somali cat hypoallergenic? As you may know, no cat is a 100% allergy free. Although there are a few feline breeds considered hypoallergenic as they produce fewer allergens than other cats. Cats, though, do produce pet dander. However, the cause of people who are allergic to cats is often a protein, Fel d 1, found in their saliva. 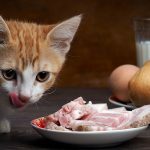 Some breeds produce less of this protein making them ideal cats for people with allergies. Unfortunately, the Somali cat does not fall into this category so is not considered hypoallergenic. 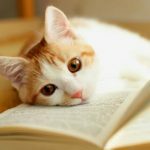 If you suffer from cat allergies, check out this article for help with finding a suitable breed. The Somali cat is a healthy cat but does have the potential to acquire hereditary health issues. Pyruvate Kinase Deficiency (Pk Def) is the result of insufficient functioning red blood cells. Creating a lack of oxygen to the cat’s body tissues, it can be fatal. It is important when buying Somali kittens from a breeder that the parents have clear tests for this disease. Another hereditary disease common in the Somali cat is Progressive Retinal Atrophy (PRA) which damages the retina leading to blindness. Once again, both parents of a kitten should have tests for this disease. 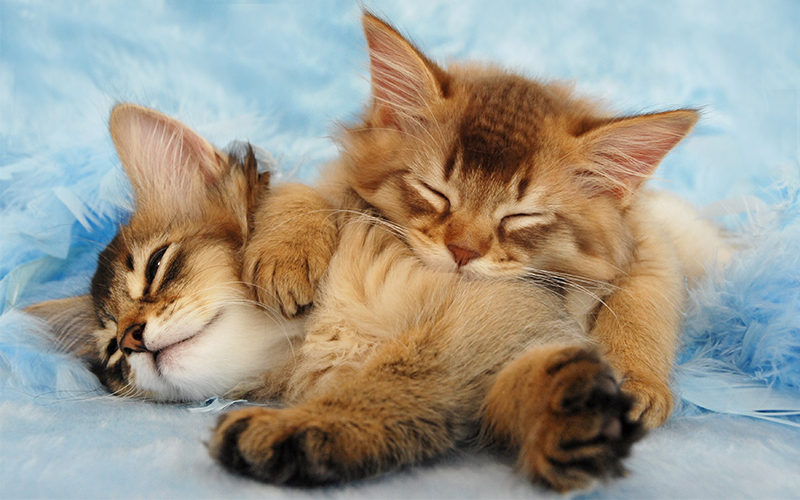 The Somali cat is also prone to a plaque build-up on its teeth, causing periodontal disease. Regular brushing of your Somali cat’s teeth with a pet toothpaste will help prevent this disease. The average life expectancy of the Somali cat is between 12 and 15 years of age. Not the longest lifespan of a breed of cat, but not bad for a pedigree breed. They are definitely a long-term commitment. 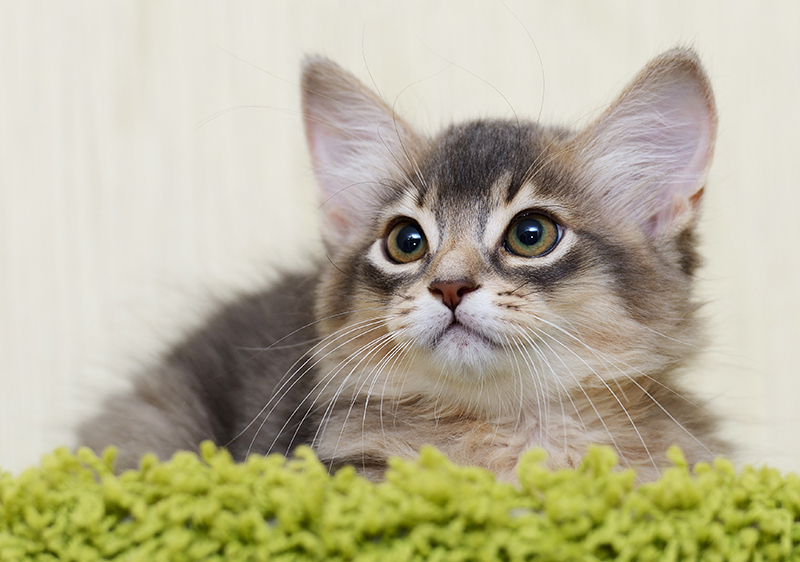 The average Somali kitten’s price is between $400 and $600 US Dollars. In the UK, the average price starts at around £450. Don’t be tempted to go for the cheapest option when searching for a kitten. 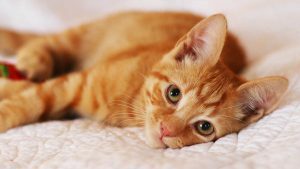 The parents’ health tests cost money, and a good breeder will have carried them out and have to account for them in the pricing of their kittens. When looking for a Somali cat kitten, it is important that you go to a reputable breeder. They will probably be registered with an official cat club or registry such as The Cat Fanciers Association or the Somali Cat Club of Great Britain. They will have both parents health tested, keep their cat in a great condition with tonnes of human contact and attention. You may have to pay more, but the breeder is obliged to follow a strict code of ethics adhering to certain health and breed requirements. They are also more likely to have done the necessary work in terms of litter training and socialization. Somali kittens should have had basic inoculations and be treated for worms and fleas. Your Somali cat kitten should come with the necessary documentation for a pedigree cat. The best breeders bring up kittens inside their home and allow you to see them with the mother. Ask to see proof of genetic testing on both parents for Pyruvate Kinase Deficiency and Progressive Retinal Atrophy. There are many advantages to adopting from a Somali cat rescue center, as most of the cats are healthy with excellent temperaments and are there through no fault of their own. Often, the cats are fostered out before being offered for adoption, so are already house trained and used to socializing with other pets and people. A Somali cat mixed with another breed is often cheaper than buying a pedigree cat. They can also have less risk of inheriting genetic diseases. Although you should make sure the parents are each tested for any diseases relevant to their own breeds. However, the advantages of having a purebred are that they conform to a particular breed standard and you know the kitten’s pedigree and history. With a cross-breed, you don’t know what you are getting. A good breeder, though, will have the parents genetically tested for health issues. The best way to acquire a cross-breed is to adopt one from a shelter, as they can help you find a suitable cat for your lifestyle. However, before deciding on any cat or kitten, always spend time with them before making a final decision. 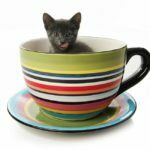 With medical screening and genetic testing readily available these days, it is now very straightforward to have parents and kittens screened for potential health issues. Should I buy a Somali cat? Only you can decide if a Somali cat is a suitable pet for you. The Somali cat loves nothing more than being with its owner, so needs somebody who can spend time and interact with him. He thrives in families with children aged six years old or more who can match his energy levels, and usually gets along well with other pets. He loves the great outdoors, but should only venture outside if it is safe. So if he is to stay inside, provide plenty of toys, scratching posts and climbing structures otherwise who knows what havoc he might create! Unlike other long-haired cats, the Somali only sheds twice a year but will need grooming at least twice a week, and his teeth cleaned regularly. 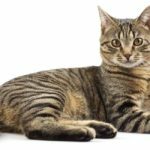 If you want an active cat and you have the time to give to him, this exotic looking breed will keep you entertained for hours providing much joy and affection to you and your family. Do you have a Somali cat? Have you taught him any tricks? We would love to hear your experiences. Girard, N et al 2009. Periodontal health status in a colony of 109 cats. Journal of veterinary medicine.